TMB 2017 – The Diabolical Challenge! 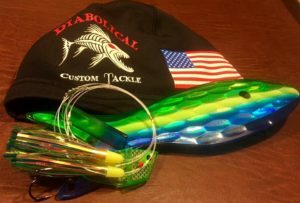 The annual Trolling Masters Bornholm tournament is rapidly approaching and this year Beason Boats will be joining forces with one of America’s most successful trolling teams, Team Diabolical. It will be the first time Team Diabolical are coming over to Scandinavia to participate in the notorious Trolling Masters Bornholm tournament and a great opportunity to network, share experiences and techniques, and of course to land one of those elusive 20+ salmons from the depth of the Baltic Sea. Diabolical….the name says it all! We have four primary team members, Captain Dan Lasky, Adam Kupiec, Knute Zehner, and myself. Which boat, we utilize a few different ones? I run a 31′ Pursuit Model 3070 for charters and tournaments. Captain Dan Lasky runs a 36′ Tiara Open, which he charters and runs in some tournaments. When we travel for tournaments throughout the Great Lakes, we use a 28′ Pursuit Model 2870. The tournament boat is easier to trailer and a bit faster, which is a key attribute for our tournaments here in the US. Aside from the companies we officially represent, I will be the first to say that there are many great tackle manufacturers in North America. We have great relationships with other companies in my home state of Michigan, including Michigan Stinger, Dreamweaver Lures, and Warrior Lures. They all make quality products. Dan, Knute, Adam, and I have all had a good deal of success tournament fishing with our respective teams over the years. Dan and I are both Charter Captains and have fished professional salmon tournaments on Lake Michigan for many years. We teamed up in 2011 and started fishing together, joining forces with Knute and Adam shortly thereafter. 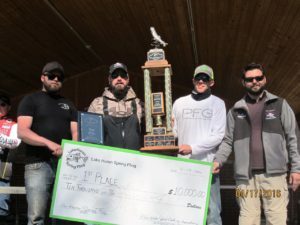 Notable tournament accomplishments include winning the Salmon Showdown Television Series aboard Adam’s former boat, “Pole Dancer.” Numerous tournament wins on Lake Michigan’s Tournament Trail, a 2016 win on Lake Huron’s Spring Fling Tournament, and back to back winners of Lake Ontario’s Wilson Harbor Salmon Slam in 2015 and 2016. We’ve won the highest paying tournaments on Lake Michigan and Lake Huron, so the Baltic Sea seems like the ultimate challenge for us. As you can tell we like to travel and take on new tournament challenges, so it didn’t take much convincing to peak our interest in TMB 2017. How did you come up with the idea of attending the Trolling Masters Bornholm tournament? How did you get in contact with Beason and decide on joining efforts to participate in the tournament? I was put in contact with Lennart Dahl of Beason Boats, and we began discussing collaboration for TMB 2017. Lennart was gracious enough to invite us to fish with his team, and we quickly accepted his invitation. Hopefully Dan behaves himself this year and we get invited back next year. How much do you know about the tournament and the fishing in the Baltic Sea? Frankly, very little. I’ve communicated with several Scandinavian fishermen through social media and discussed fishing techniques, lures, and tactics. Lennart has given us some insight into fishing in the Baltic Sea, but it will certainly be a learning experience for us. Of course, the only real way to know anything about the Baltic Sea is to fish it…so hopefully next year I’ll have a better answer to this question. Any particular differences you notice between fishing the Great Lakes and the Baltic Sea? From what I’ve observed so far, it appears that many of the same principles and techniques are commonly used in both the Great Lakes and the Baltic Sea. We tend to utilize some different methods for deploying baits here in the U.S., to include copper line, lead core line, slide divers (diving planers) via wire or braided line, etc. Our water clarity has become relatively high due to invasive species, and we’ve had to adapt our techniques to make them a bit stealthier. It appears that many Baltic Sea fisherman stack multiple lines on downriggers, whereas most Great Lakes fisherman have become more reliant on copper line, lead core line, and slide divers. It will be interesting to see if any of our techniques are effective in the Baltic Sea. Clearly the techniques currently used in the Baltic Sea are working well, so you can’t argue with success. What are your expectations on the tournament? Any special tactics and/or equipment planned? Of course, we’re planning on bringing the best tactics and baits from the USA with us. In the Great Lakes, our team specializes in fishing cut bait, commonly referred to as “meat rigs,” for Chinook Salmon (King Salmon). We manufacture our own style of meat rigs under the name of Diabolical Custom Tackle, and will have a new series of rigs designed for the Baltic Sea to use during TMB 2017. That said, we are fishing as a team alongside Beason, and will be use whatever baits and techniques work best while we’re there. How are you preparing for the tournament? We have researched online material and gathered a general understanding of some techniques used by Baltic Sea fisherman. Our biggest challenge is trying to limit our selection of tackle down to one or two suitcases. When we travel for tournaments here in the US, we generally travel with enough tackle to outfit several small tackle shops! We will be relying on our friends from Beason to point us in the right direction when it comes to tactics and bait selection, but hopefully some of our techniques will be productive. Do you see any possibilities to have further exchange between the trolling community of the Great Lakes and Scandinavia? Absolutely, I think there is much to be gained on both sides of this exchange. I can tell that the Scandinavians are very serious about their fishing, and I think we will learn a lot during our trip. Fisherman of the Great Lakes are also very serious, and the overall level of fishing ability in the Great Lakes is very good. Last but not least, any special message to the Scandinavian trolling community? Keep the beer cold until we get there, which should not be a problem with the current weather forecast. We look forward to a new challenge and experiencing the sportfishing culture of the Baltic Sea. We’re coming to enjoy the fishing and have a great time, but we want to win TMB as much anyone else. See you soon.